Recognitions for Great Musicians. 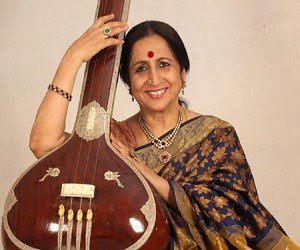 Renowned Carnatic Vocalist Aruna Sairam has been selected for 2018 Sangita Kalanidhi award of Music Academy for her contribution to Carnatic music. Under this recognition, she will preside over 92nd annual conference to be held between December 15, 2018 and January 1, 2019. The award will be conferred to her on January 1, 2019 the day of Sadas of the conference. It will be awarded to Mridhangist Thanjavur R. Ramadoss and Vocalist K. Oman Kutty. It will be given to Veena Player Kalyani Ganesan and Nagaswaram Player S.R.G. Rajanna. It will be given to Dr Premeela Gurumurthy, the Vice-Chancellor, Tamil Nadu University. It will be awarded to Veteran Danseuse Shanta Dhananjayan. It is a prestigious award/title bestowed annually upon expert of Carnatic Music by Madras Music Academy. The award’s name has been derived from Sanskrit which means treasure of Music and art in English (sangita = music, kala = art, nidhi = treasure). This honour is considered as one of the highest awards in Carnatic music.